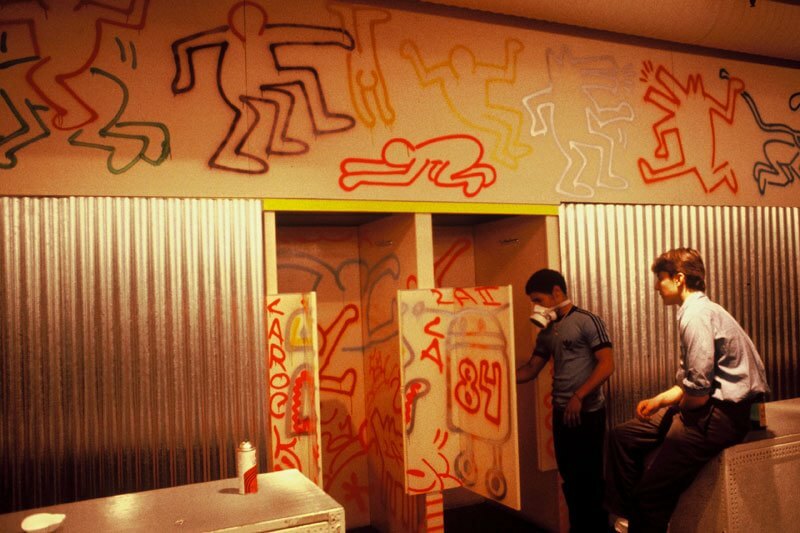 At the forefront of his generation, Keith Haring was considered the king of mainstream graffiti and street art. 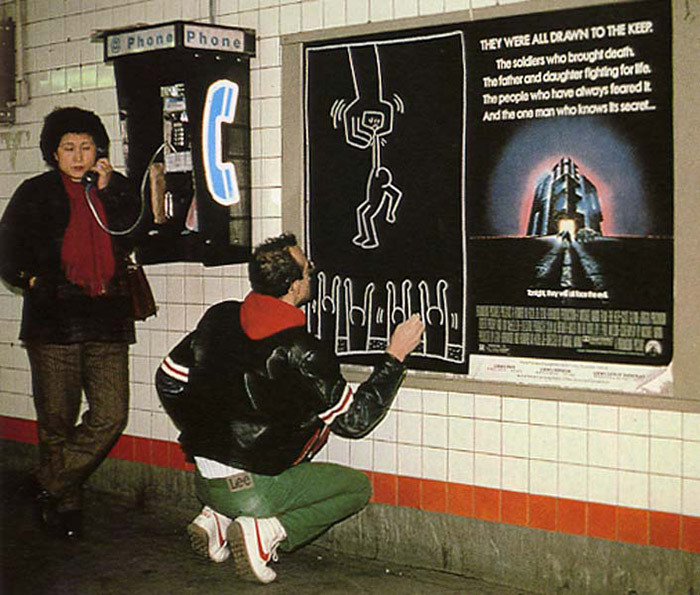 Haring’s work garnered attention throughout New York City in the 1980s, in large part due to his minimalist pop-art subway graffiti. 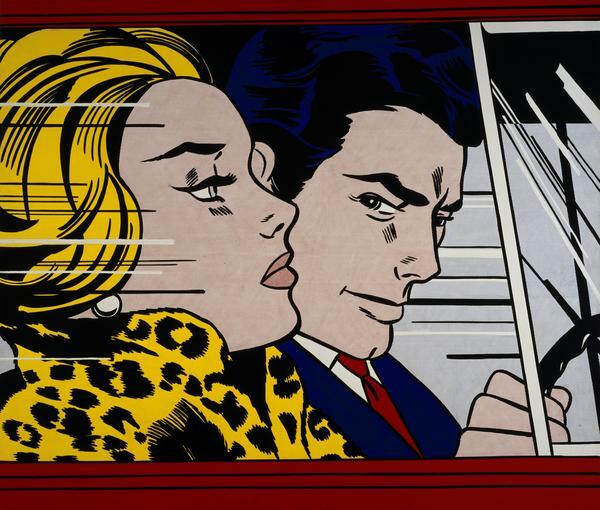 This work, which animated the grey, underground world of the New York subway system, gained notoriety amongst prominent gallerists and notable collectors in the art world. 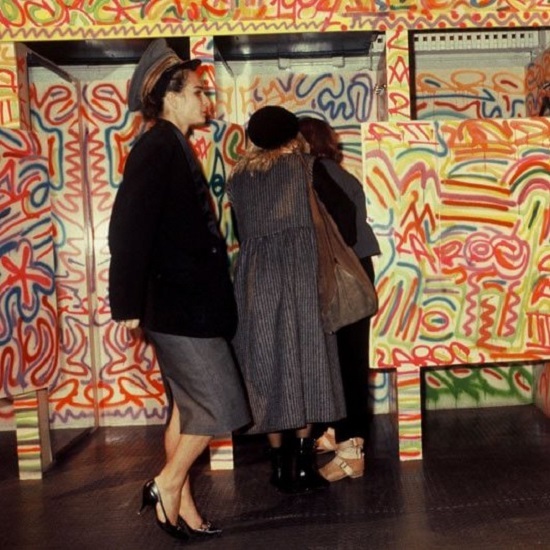 Haring’s work was undeniably unique in the manner in which it brought art into the public space and away from the exclusivity of museums and higher establishments. 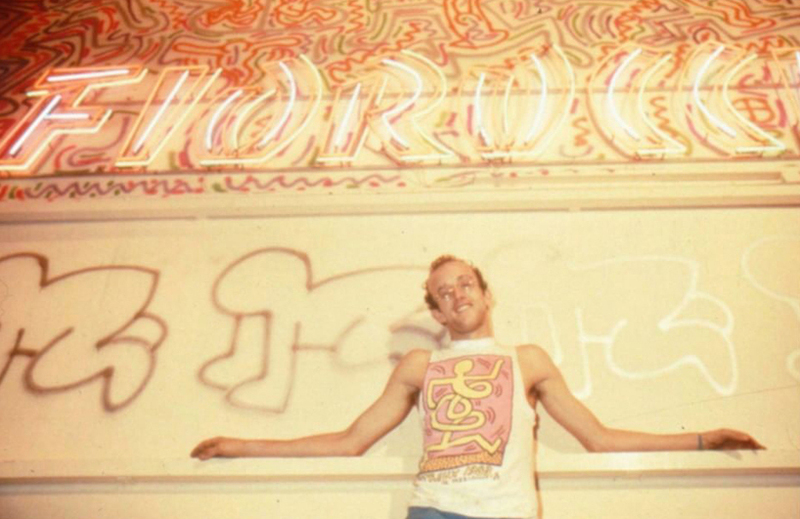 Much like Andy Warhol, Haring’s “low” art helped to democratize the art world; for which today’s inclusive and interactive public art funds have Haring largely to thank. 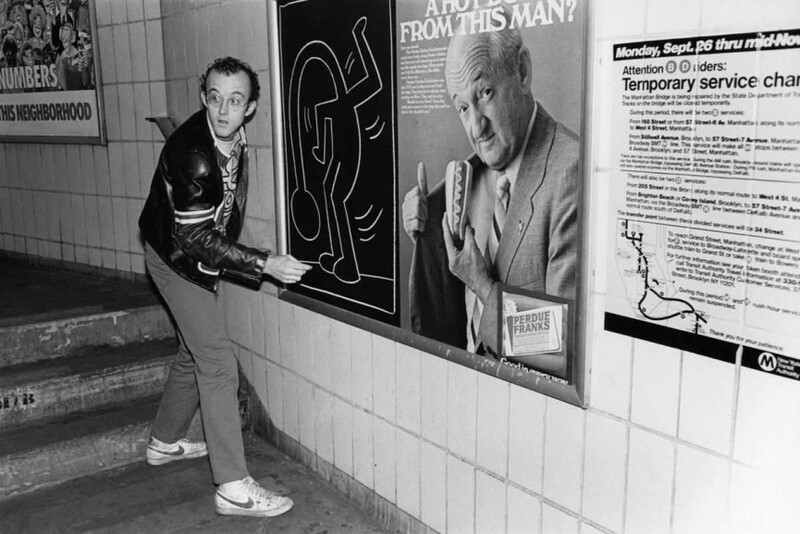 One individual who took early notice of Keith Haring’s free-spirited aesthetic and unwavering creative energy was Elio Fiorucci, a Milan-based designer known for his double-cherub logo, playful youthfulness, and connection to the club kid scene throughout the 70s and 80s. 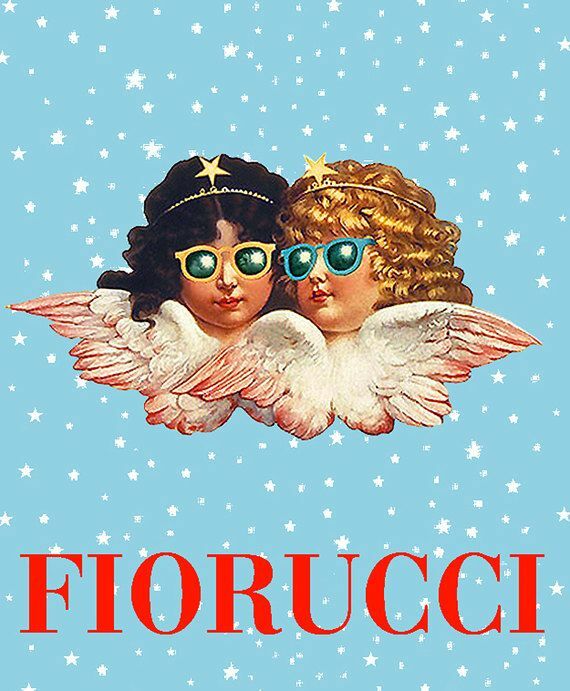 Fiorucci’s brand originally gained notoriety in the 1960s through his memorable concept store at Galleria Passarella in Milan. 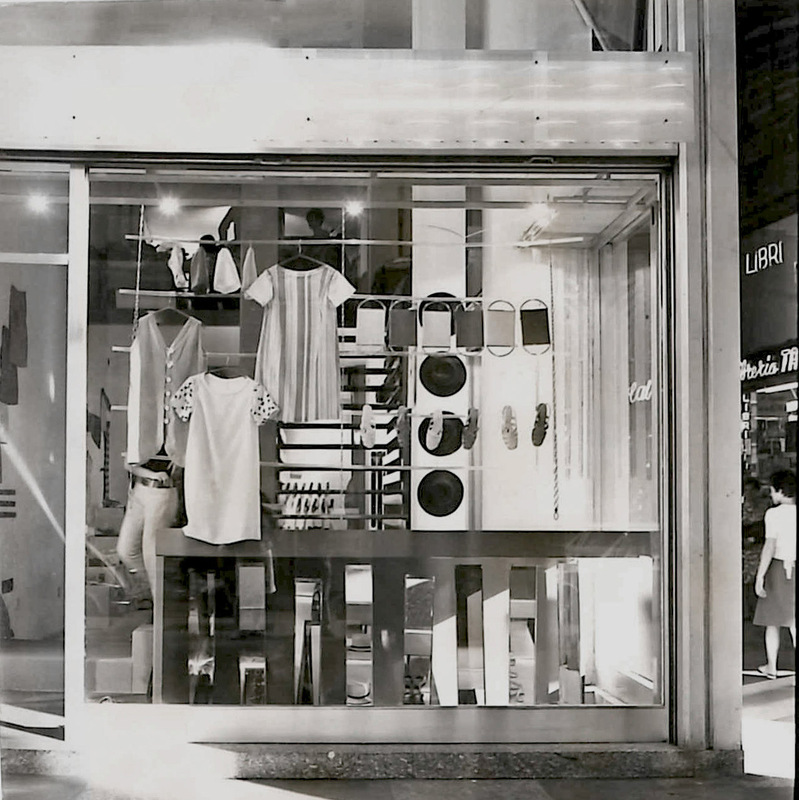 The shop, which showcased avant-garde art and new fashion trends through apparel collections, accessories, perfumes, and unique design objects, served not only as a curated venue for retail but a gathering place for the city’s youth. 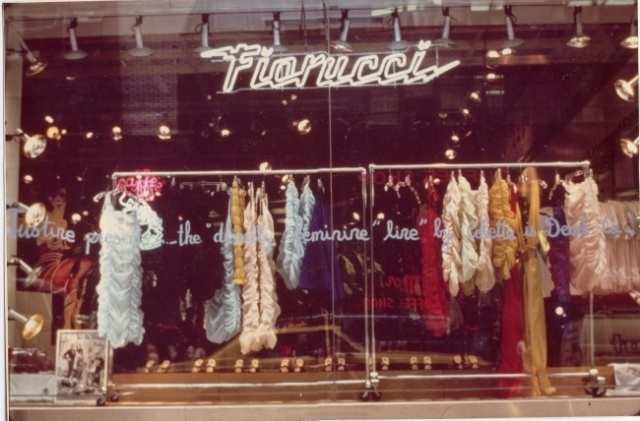 In 1983, Fiorucci invited Haring to Milan to turn his store into a work of art, an offer Haring accepted at the urging of Andy Warhol. 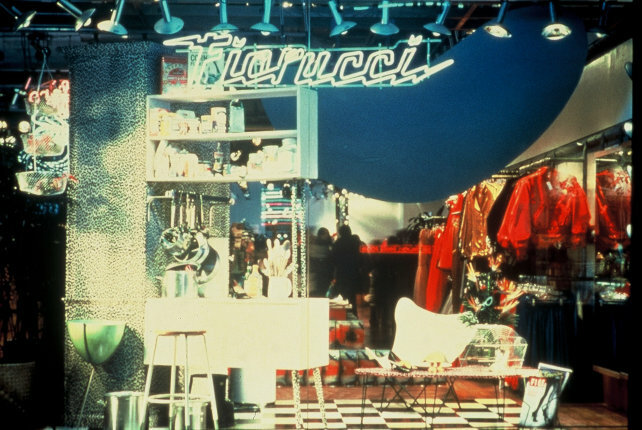 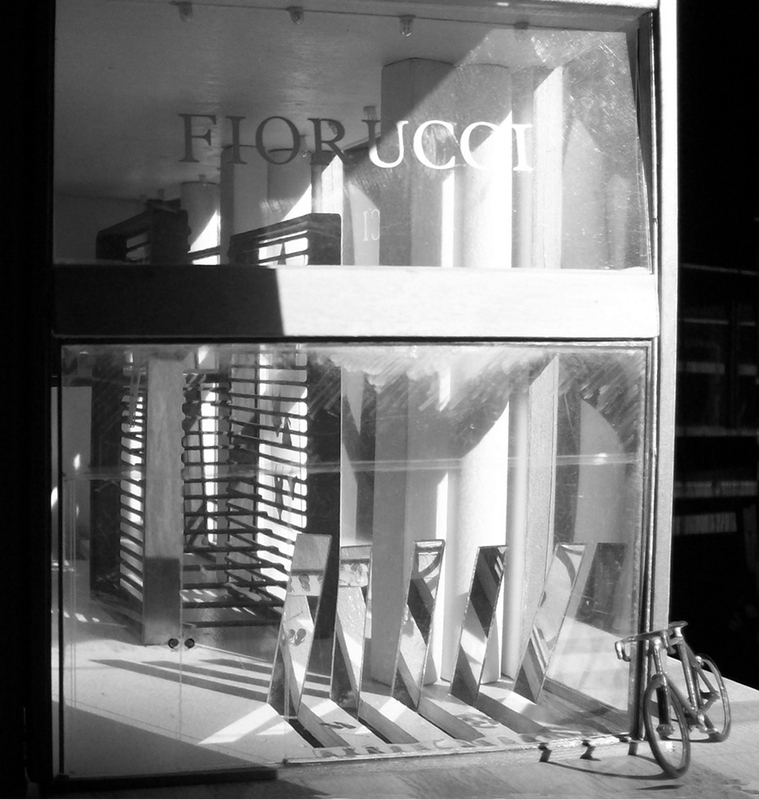 Fiorucci stripped his 1,500 square meter store bare, creating a blank wall canvas that would put Haring at home. 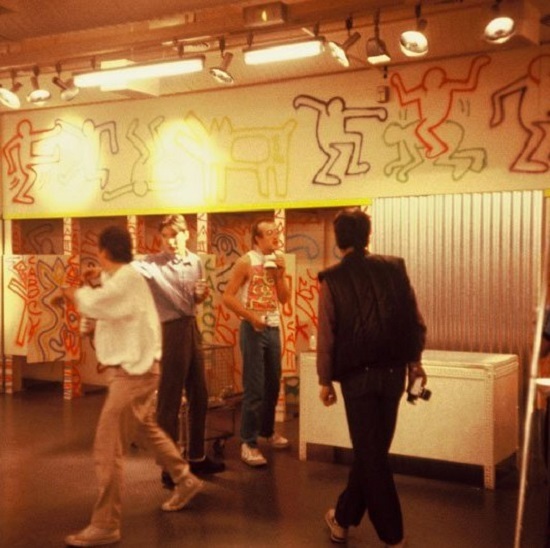 During Haring’s days of painting the store’s murals, Fiorucci left the shop open so that all of Milan could admire the artist at work; further democratizing Keith Haring’s practice and, effectively, the intimate and exclusive process of creating art as a whole. 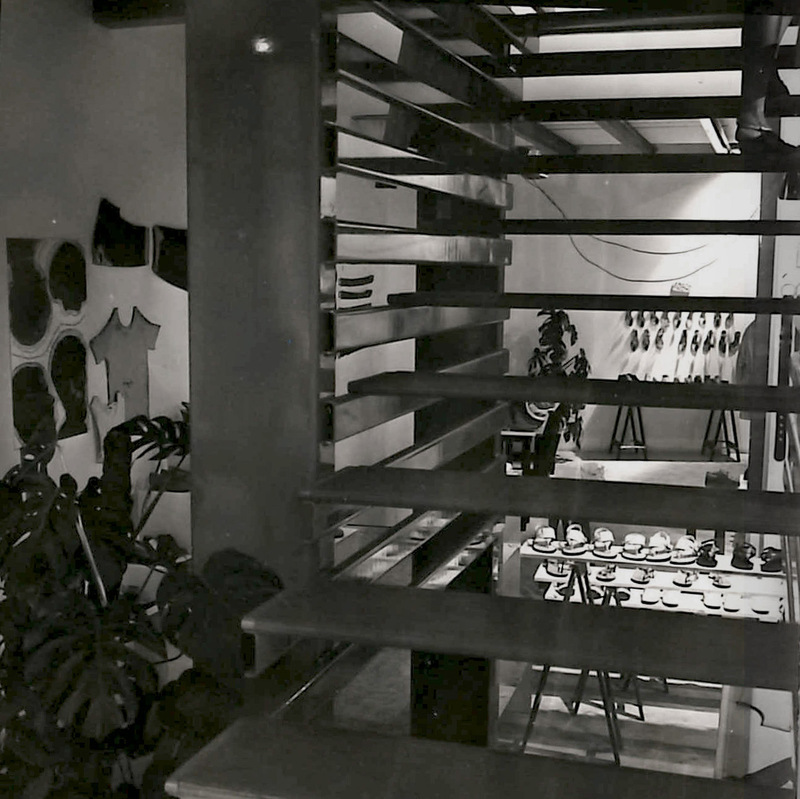 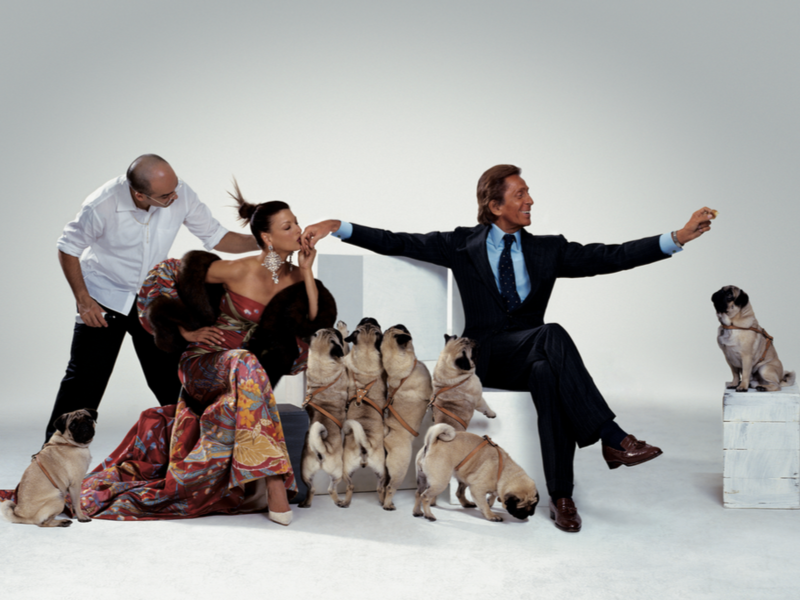 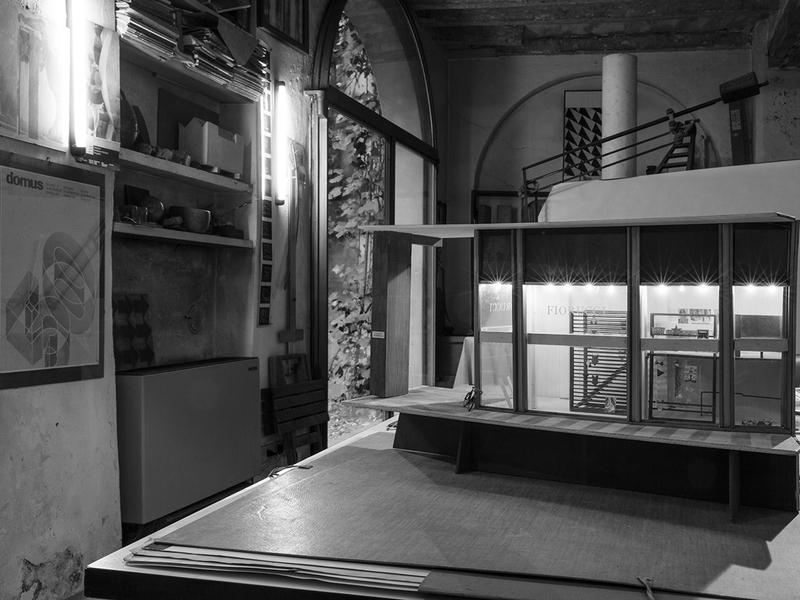 The final product was an unexpected mix of vibrant shapes and colors that reflected on the avant-garde movement developing throughout Milan and New York. 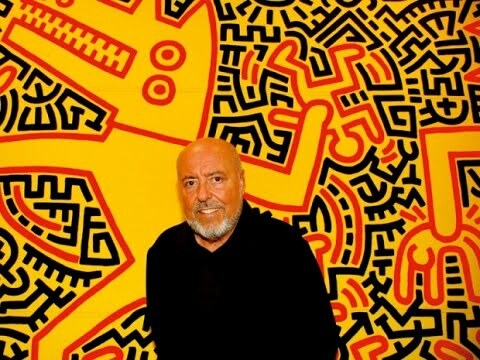 Meanwhile, Fiorucci and Haring developed a lasting friendship through their love of art, research, and their shared pursuit of opening the art world up to the public.